Laser Plumbing Newcastle Central provides a wide range of plumbing services for around the home, serving clients across Newcastle, the Hunter Region, Central Coast and Port Stephens. 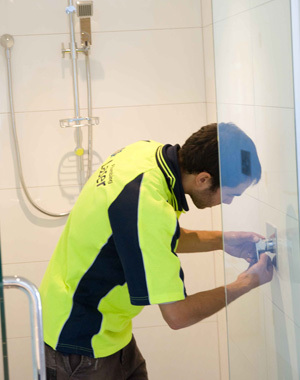 From leaky taps through to complete bathroom renovations, our team of qualified plumbers have the experience to quickly and effectively handle all your plumbing requirements. Need a residential plumber in Newcastle? Laser Plumbing Newcastle Central is your local expert in plumbing maintenance, repairs and installations, hot water and heating systems. Our technicians show up on time, are well presented, professional and carry out your job with care and skill. We provide you with a real and honest service at a reasonable price with quality workmanship. We take pride in providing excellent customer service from the first point of contact through to invoicing. We want to ensure every customer has a quality experience and trusts us to complete the job thoroughly. Through innovation, planning, and use of quality systems, we take pride in providing you with the highest level of customer service. Need a domestic plumber that's 'Totally Dependable'? Speak to Laser Plumbing Newcastle Central today.